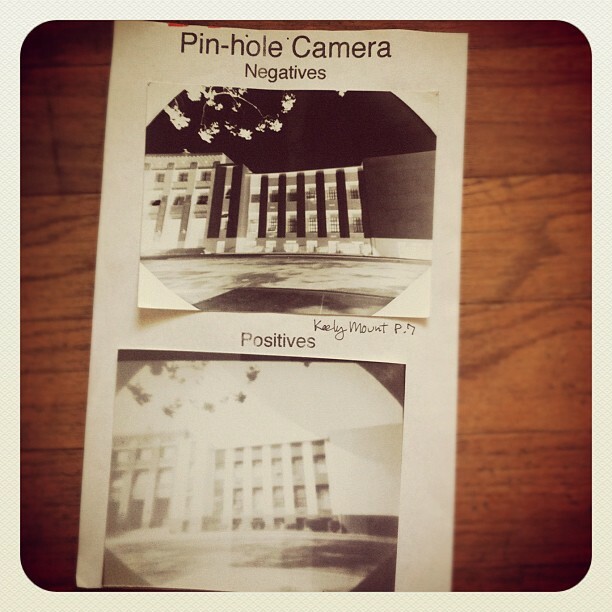 I love Pin Hole Cameras! For my freshman year I took Photo 1. We had to make something called a Pin Hole Camera. which is basically anything like a box that is black inside.. Where you take exposures. I love the way the pictures look! There so vintage and imperfect! I plan to make a sturdy one out of wood very soon. (My one in photo 1 was a shoe box so it got destroyed very easy) but here’s what my pictures looked like..
Arent they pretty! I would love to hang these all over my bedroom wall :)! !